Beretta GunPod 2 device suitable for A400 Xtreme Synthetic stock. 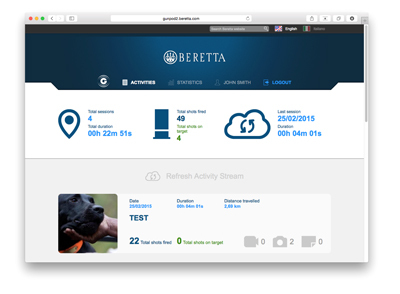 The Beretta GunPod 2 is a smart digital system powering a new way to enjoy hunting. Beretta GunPod 2 device suitable for A400 Xtreme Synthetic Black. 1. The GunPod 2 on-board Bluetooth shot-counter. 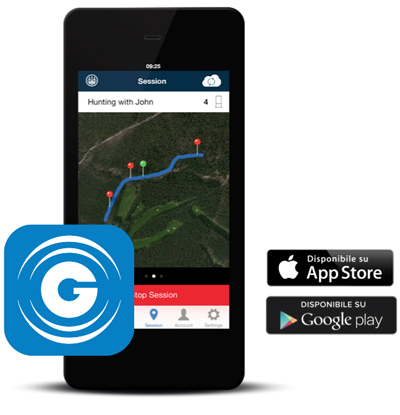 Once received the information of the shot from the on-board Bluetooth shot-counter, the GunPod 2 app takes care of collecting all the shot information into your secure and private records, creating the diary of your hunting day*. * Bluetooth must be turned on during the hunting sessions. Localization is recommended to get the best of the GunPod 2 system.